1 What Is a Synthetic Polyester Fabric? 3 What Is Arnel Vintage Material Fabric? Polyester is a petroleum-based fiber, known for its strength, resistance to abrasion and its low absorbency. Polyester is a type of synthetic polymer that is made from the combination of natural chemicals as well as synthetic chemicals like polybutyrate and polycarbonate. The first synthetic polyester was invented around World War I by W.H. Carruthers, but the material did not receive wide notice until the early 1940s. Polyester is created from a chemical reaction between alcohol and an acid. Their molecules combine to make a larger, stronger molecule that is then used in fiber. Polyester is used to make clothes, tablecloths, sheets and curtains. It is also used in the production of seat belts and rope. 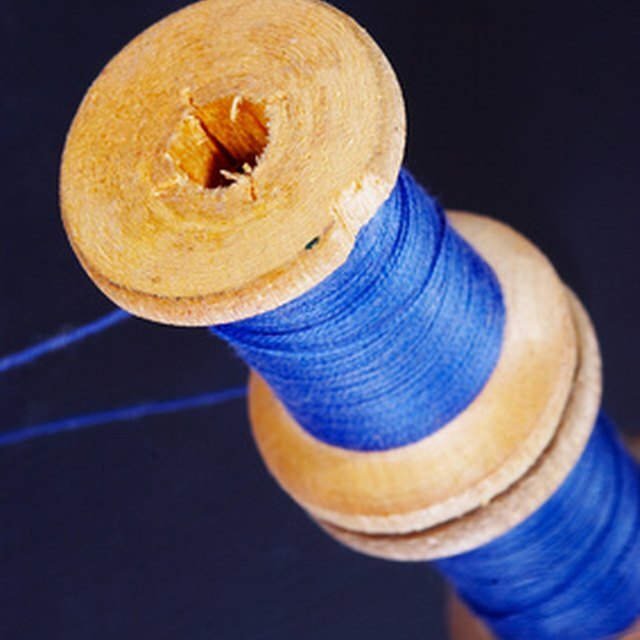 Polyester fibers aren't only used in the manufacture of fabric. They are also used to create garden hoses and soda bottles.